How to wear your hair this summer is sooooo difficult knowing we have many options! What will you choose? Check out this close up view of how to add colored yarn or any string to your hair. 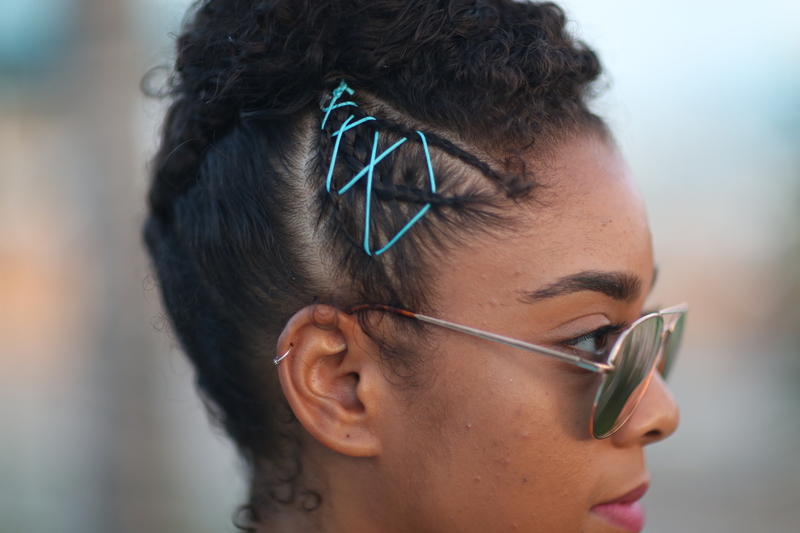 Add at least three cornrow braids to one section of the headshape. The best areas of the head are the top, or one of the two sides. You could also use the back of the head as well. Insert the thread in the center braid at the base of the start of the cornrow and filter the thread in between the three braids to create a pattern as you see pictured. Be creative!!!! You can do amazing, fabulous things with your hair jewelry.